National Library of Medicine traveling exhibitions are hosted throughout the United States and across the world. The host libraries, museums, and organizations plan and present enriching and engaging programs to connect their communities with the information in the exhibition and the wide-variety of NLM resources available to the public. This is the second post in a series called “Making Exhibition Connections,” which invites host venues to share their partnerships, programs, and public engagement experiences with Circulating Now readers. Today, Evelyn Kobayashi, manager of the GSAA Health Sciences Library at the Kaiser Permanente San Leandro Medical Center in San Leandro, CA talks about hosting Pick Your Poison: Intoxicating Pleasures and Medical Prescriptions. Circulating Now: Tell us about your library. Where is the library located? What exhibition did you host and when did you host it? Evelyn Kobayashi: The Kaiser Permanente San Leandro Medical Center occupies the former site of a large supermarket chain’s distribution center for the San Francisco-Oakland area of Northern California—also known as the East Bay. Industrial and residential neighborhoods which have not been touched by gentrification are nearby. Residents come from many ethnic and cultural backgrounds, and many languages other than English were recorded in the 2010 census—Spanish, Chinese, Tagalog, Vietnamese, Hindi, Russian, Korean—among others. Median household income is low compared to other parts of the Bay area. In Alameda County in 2015, the number of opioid prescriptions was about one for every two persons—a level that made Pick Your Poison: Intoxicating Pleasures and Medical Prescriptions immediately relevant for the surrounding community. Our medical library, or “Health Sciences Library,” is located on the 3rd floor of the medical office building, a structure continuous with the hospital building. We hosted Pick Your Poison from May 29 to July 8, 2017. Pick Your Poison was on display in a wide hall adjacent to the main hospital lobby and opposite a bank of elevators—not in the library. The location in an area of heavy foot traffic was deliberately chosen to maximize the number of people who would see the exhibition and interact with volunteer docents and the medical librarian. This approach was suggested by our first exhibition experience in 2014. We promoted A Voyage to Health (another NLM traveling exhibition) as one of the opening events for the new medical center, but the relatively remote location inside the library on the 3rd floor was arguably responsible for low attendance at that first installation. CN: Who visits your library on a regular basis? EK: The great majority of visitors to our library are hospital staff—nurses, pharmacists, physicians, students in health sciences degree programs, and others in non-clinical roles. Many of our staff patrons visit virtually. Patients and members of the public are welcome to come in to ask for health information, but many of their questions are primarily addressed by the Health Education Department of the Medical Center. We frequently receive referrals from Health Education for complex questions, and that connection made Health Education our natural partner for hosting Pick Your Poison. By combining forces and setting up the NLM exhibition and Health Education’s coordinate materials in a location well-frequented by patients’ families and other visitors, we made the exhibition casually accessible to community members who had concerns and questions about substances readily available in both legal and illegal forms in this urban area. CN: Why did you want to host Pick Your Poison: Intoxicating Pleasures and Medical Prescriptions? EK: The nationwide opioid crisis is as real in this area, as it is in other localities, and we saw this particular exhibition as an opportunity to engage community members with reliable information and historical background provided by the beautifully illustrated exhibition panels. 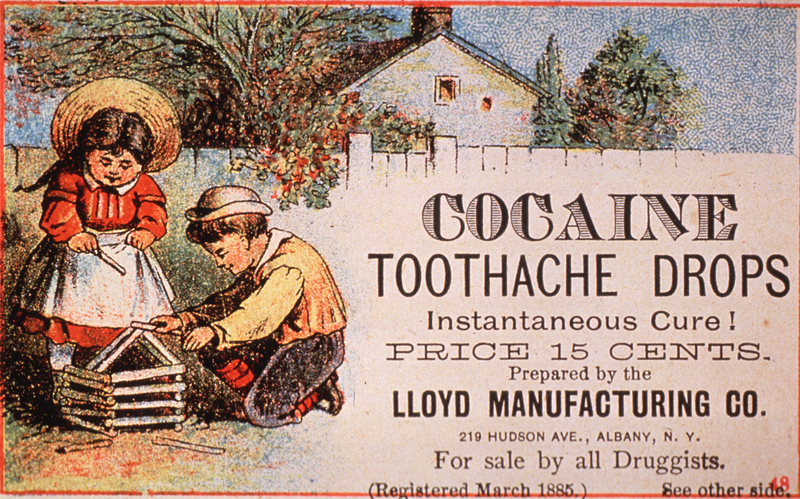 It also gave many people an opportunity to tell their own stories or family stories connected to tobacco, alcohol, opium, cocaine, and marijuana. The validation of these moments was meaningful to many visitors. CN: Were you trying to connect with specific groups within your community? EK: The fundamental importance of the five Pick Your Poison substances hit home for many visitors and—as we expected—stimulated questions. Our goal concerning “specific groups” was therefore to reach everyone possible. We had on hand catalogs with information about registering for smoking cessation or other Health Education classes. We deliberately recruited and trained volunteer docents who augmented the library’s staff of two. The docent group included two environmental services workers on temporary disability, two members from the hospital’s blue-coat volunteer team, two masters-level interns from the Health Education Department, one health educator, and one member of hospital administration. We noticed that the volunteers as a group were invaluable in many ways, not only for their ability to interact with visitors and provide information, but for the way they naturally brought their personal networks into the experience, as well. Being a docent proved to be an opportunity for significant personal growth for the environmental service workers. One took on the responsibility of reading widely in Spanish-language materials and being our Spanish-speaking information presenter. One returned to school to become a pharmacy technician, and we believe his new-found role is a form of complementary success for the exhibition. We worked with the Health Education Department’s graphics designer to create an original poster and distributed it for staff attention in all hospital departments and to regional occupation programs, community colleges, and public libraries. The greatest number of visitors, however, were staff and visitors already at the hospital—outpatients, inpatients, and their friends and families—a cross-section of the community. CN: You hosted some unique programs. Please tell us about the programs and how you came up with the ideas for the programs. EK: The exhibition subject matter was a natural fit for coordination between the Health Sciences Library’s materials and the educational programs and tactile educational tools of the Health Education Department. Their carnival wheel—modified with simple questions and small prizes—was a real attraction for children, and accompanying adults joined in the spirit of the games. Other games involved answering a short survey for an opportunity to win a tee-shirt. Children were especially intrigued by a jar of brown goo that represented tar in a smoker’s lungs and delighted in squeezing an inflatable lung. CN: How did you reach out to your community about the programs? Do you think you were successful in connecting the exhibition topic with your community? EK: Wide-area publicity on the internet and in newspapers was handled by a corporate department at Kaiser Permanente’s home office in Oakland. The poster, created by Health Education’s graphics team, was displayed in three-hour rotations on numerous digital screens throughout the San Leandro Medical Center, which drew a lot of attention, and we heard of people stopping to read the panels during quiet hours at night. Comments in our visitors’ book indicated that many community members were impressed with the educational material and appreciated the exhibition being made available to them. We noted 1,428 conversations over the five-week exhibition span. Evelyn Kobayashi completed undergraduate work and an M.A. in English Literature at University of Illinois-Chicago Circle. She began working in the Health Sciences Library with Doris Hayashikawa at Kaiser Permanente-Santa Clara Medical Center and has been at Kaiser Permanente’s Greater Southern Alameda Area since 2004.